Young homeschoolers in NBYT’s enrichment program made rain sticks this week! 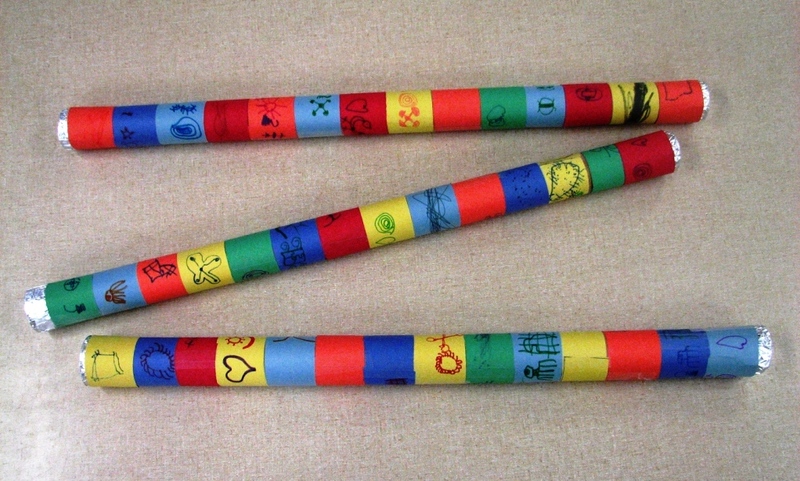 The colored strips on the rain sticks are decorated with story-telling adinkra symbols from West Africa. These props are going to be used in the performance of Rain Song, a folktale from the West African country of Ghana. Students in some of NBYT’s in-school and after-school programs will also make rain sticks and perform the folktale. We promise though that we aren’t the ones making it rain so much this month! Really! Previous Previous post: Happy Birthday, NBYT!